When you’re looking to buy cheap MMA gear online you’ll not only be on the lookout for the lowest prices and the best discounts but you’re also looking for the best quality gear, and let’s face it, an awesome design is also a big part of the decision. 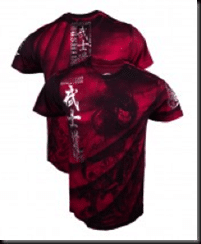 In this article, we review the best online stores for MMA gear looking at the best selections, the most popular brands and the biggest discounts so you can the get best deals on your MMA clothing and fighting gear without compromising on quality. Jaco is a well respected brand with comfortable and reliable designs. Their online store stocks a wide selection of their own MMA apparel and fight gear for both men and women. Their fighting gear uses durable, moisture controlling polyester stretch fabric that fits perfectly to ensure your comfort and maximum maneuverability. Jaco also have range of cotton t-shirts for ultimate comfort as well as their innovative bamboo rayon tees that offer all the comfort of a cotton t-shirt with added durability and stretch as well as sweat wicking technology that helps keep you dry and cool. 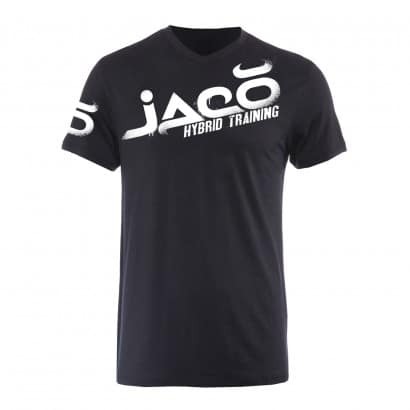 The Jaco shop has genuinely cheap prices on range of discount MMA clothing from fight shorts and compression shorts to cheap t-shirts, training jackets and hoodies, and they also stock a variety of other MMA gear and accessories including hats, guards and groin protection. There are also bundled discount deals for fighters looking to pick up a few products at once without having to spend up big. Pros: Jaco’s high quality hybrid gear can be used in a variety of sports, and their site offers great savings on bulk discounts. Cons: Some of Jaco’s designs can be a little too basic for fighter’s looking for clothes with more visual impact, and their range of protective gear isn’t huge. 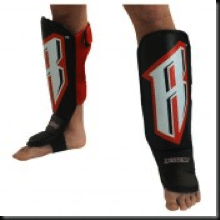 Keep yourself safe with MMA Overload’s choice of protective equipment, with elbow and knee pads, groin protection, shin guards, mouth guards and a full range of gloves. There’s also a good selection of hats, hoodies, bags, belt buckles and everything else you need to get out there and look good while you’re doing it. Check them out here! 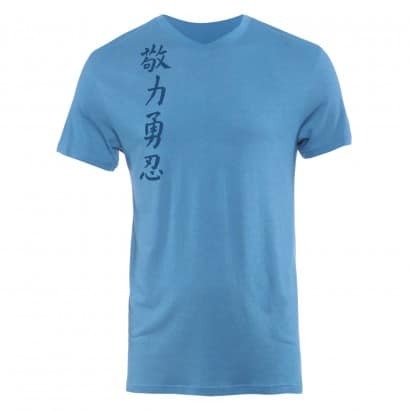 MMA Overload not only has one of the biggest ranges of fighting gear and MMA fashion, they also have some of the best prices on MMA sale items. They have a huge range of discount t-shirts, some going at less than half their regular price, and there’s also massive savings to be made on discount hoodies and track jackets, hats, bags, rash guards, cheap fight shorts, discount training and sparring gloves, head gear, shields, pads, shin guards and heaps more sales. To top it all off, MMA Overload also offers sweet shipping deals with free shipping on all US orders over $125. Check it out by clicking here! Pros: MMA Overload has a seriously impressive range of fight clothing and gear with genuine sales specials and a free shipping deal. Cons: Not a lot of top end brands or much of the more popular gear makes it into their clearance items. Revgear manufacture their own brand of clothing and accessories, specialising in MMA gear and also offering a range of gear for Muay Thai, jujitsu, kickboxing, krav maga, boxing, karate and other martial arts as well as general gym and workout gear. The Revgear online store stocks the full range of Revgear MMA fighting gear and they’re also now stocking Triumph and Bad Boy MMA apparel and gear. Revgear is one of the most respected brands for MMA gear – their tough Spartan Pro fight shorts in particular, with their reinforced light weight, two way stretch antimicrobial polyester fabric, always get top ratings. 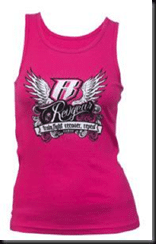 Revgear stock men’s and women’s gear as well as kids’ clothing. They sell wholesale cages, rings, floor mats and other gym equipment as well as fitness DVDs and training manuals. Check them out here! 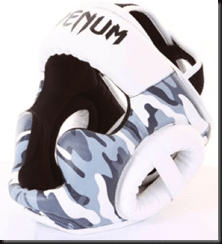 While Revgear doesn’t quite compare to some of the bigger outlets on their range of cheap MMA clothes and accessories, they do sell quality stock for a range of fighting needs and have a small but regular line of clearance items. If you’re looking for wholesale equipment, especially the larger stuff, Revgear are definitely worth a look. Pros: Revgear provide a great range of pro equipment for gyms and schools with great wholesale discounts. Cons: Not as big a range as some of the larger shops, especially on sale items. MMA Outlet has a decent range of fighting apparel and accessories that will keep you looking good while ensuring your ultimate performance. They stock a good range of popular brands including Affliction, Combat, Jaco, Clinch Gear, and Contract Killer for men and kids but they don’t stock MMA gear for women. 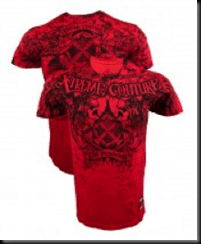 MMA outlet stocks the standard MMA fight clothing – fight shorts, rash guards and grappling tights – as well as t-shirts, hoodies, hats, MMA shoes and gym bags. They don’t have a massive range of clothing but things improve in the accessories and equipment department, with a great stock of protective gear, a full range of gloves, headgear, punching bags, mats, pads and shields as well as a number of sports medicine straps and icing pads for treating injuries. MMA Outlet has a reasonable selection of regularly updated sale items. At the moment, grappling tights, cheap fight shorts, t-shirts and accessories including gloves and headgear are being offered with really good discounts, some things less than half price. MMA Outlet also does free shipping for orders over $49 for US customers and most orders have a same day turn around on shipping. Caption: MMA has excellent deals on grappling tights and other gear. Pros: MMA Outlet has a fantastic range of fight accessories and protective gear and a great free shipping offer. Cons: They don’t have a huge range of clothing in general and besides one line of Gis, MMA Outlet doesn’t carry fight gear for women. 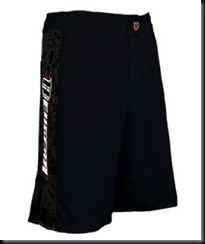 Performance MMA has an enormous array of MMA clothing and accessories, stocking all the major brands including Venom, Affliction, Headrush, Hayabusa and heaps of others. 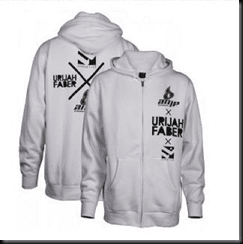 They stock a full range of fight clothing for men and women as well as kid’s MMA gear, and they have a great range of protective gear as well as fashion accessories. Performance MMA is also one of the few outlets that stock compression shorts and sports bras for women, so girls in particular should definitely check out this site. Caption: Performance MMA have a great range of MMA underwear for women. Check them out! 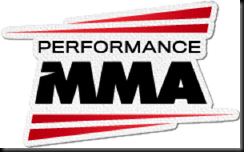 Performance MMA also has a massive range of MMA sale items in their clearance pages with good discounts on everything from hats and hoodies, cheap MMA shorts and a fantastic variety of cheap MMA t-shirts. 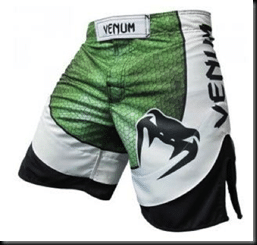 They’re also currently running a special promotion, offering 15% of all Venum Amazonia fight shorts, gloves, headgear and shin guards. Any US order over $99 qualifies for free shipping! Caption: Performance MMA have a huge range of cheap MMA gear at special sale prices. Check them out! by clicking the pictures above! Pros: Performance MMA has one of the best ranges of fight gear for women in any store. Cons: Besides their range of t-shirts, Performance MMA doesn’t offer a huge range of specials on high end brand name fight gear. 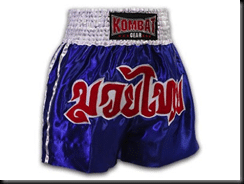 For anyone after cheap Muay Thai clothing and accessories, make Muay Thai Stuff your first stop. 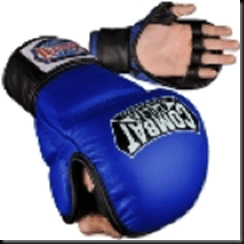 They have an impressive range of quality Muay Thai gear and accessories, stocking everything from Muay Thai shorts, gloves, hand wraps, guards and t-shirts from all the popular brands including, Tuff, Raja Boxing and Kombat Gear. They also sell Muay Thai training and competition DVDs. 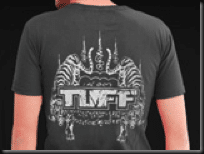 Muay Thai Stuff has some terrific sale deals with a great range of discount Muay Thai designer shirts and Muay Thai shorts, some discounted up to 70% off!! Caption: Muay Thai Stuff have a great range of discounted items for up to 70% off! Check them out by clicking the picture above. If you’re looking to buy Muay Thai gear in bulk, Muay Thai Stuff also have great wholesale offers with savings of up to 62% when you buy multiple items. Pros: Muay Thai Stuff have an excellent range of Muay Thai equipment and clothing with some hard to beat special prices. Cons: They only stock Muay Thai specific gear, and their website is a little cluttered and could be easier to navigate with a better design. 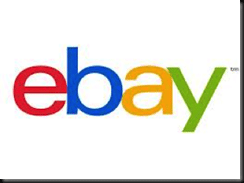 If you’re looking for cheap MMA gear, then don’t forget to check out eBay. 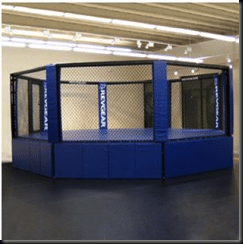 A quick search for MMA gear will bring you anything you need – everything from fight shorts and compression shorts and other combat clothing to MMA fashion and a full range of MMA training gear. Caption: Ebay has a great selection of compression shorts. Click the picture above to check them out! Prices will vary depending on who you’re buying from and where you’re shipping to, but check around the different sellers for what you’re after and compare their prices. You’ll typically end up spending a lot less than you would in a regular store for the exact same gear. Pros: Seriously good discounts are available through eBay, even on brand new top range fight gear. Cons: If you’re after something really specific, it can sometimes be a bit hard to find or availability could be scarce. Amazon is another excellent place to find cheap MMA gear online. With all of the major MMA brands covered, Amazon stocks just about all the discount MMA fight gear you’ll ever need with everything from the usual fight shorts and compression shorts, rash guards, and t-shirts and other cheap MMA clothing, to a whole range of fight equipment and accessories. The great thing about shopping on Amazon isn’t just the range and savings that are there for the taking, but it’s the best place online to find product reviews for MMA gear. Just about every product has been rated and reviewed by fighters who’ve bought and used those very items so you can be assured you’ll be buying the products you’re after with the quality you expect. Amazon offers some good shipping discounts too, so don’t forget to check if your purchase qualifies for extra savings. Pros: Amazon is an excellent source of customer reviews so you can get a good idea of the quality of the gear you’re interested in. Cons: Shipping can take a while depending on where you live. If you’re looking for amazing prices on quality fight gear then these eight stores are just what you need, each with a wide selection of the most popular and respected MMA brands all offering really competitive discounts and offers. Each shop we’ve visited here has its own unique benefits. and if you’d like to know what other fighter’s think of a product you’re about to buy, then Amazon’s customer reviews sections are hard to top. So, go on and get into the action knowing that you’re wearing the best cheap MMA gear and haven’t sacrificed quality for cost.